Register for the Tonkawa Half and Quarter Marathon today! Please join us for our annual Tonkawa Falls Half and Quarter Marathons. This is a no fee, no t-shirt, no awards kind of race. It’s our way of saying thank you to our club and our running community. Both of these distances are self-timed (we’ll have a clock at the finish) and have self-serve water stops so everyone is able to run. Update! We have decided that we will time both races. There are still no awards other than bragging rights. Following the run we’ll have a picnic lunch. 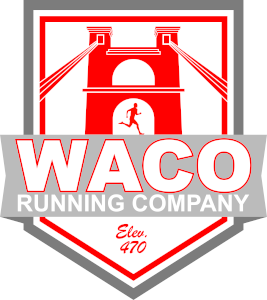 The Waco Striders and our sponsor, Bush's Chicken, will be supplying the main course and iced tea. You are asked to bring a side dish, dessert or something delicious to add to the feast. BYOB if you would like an adult beverage. Even though this event is free, we would still like you to register so we can get an accurate estimate for the amount of food needed for the picnic. There will also be an Easter Egg Hunt for children ten (10) and under. If you plan to participate please bring 12 Easter Eggs. 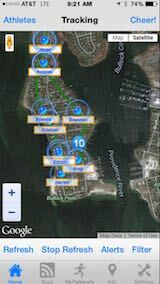 You don't have to participate in the run to attend the picnic and Easter Egg Hunt. The Tonkawa Half and Quarter Marathon routes follows a portion of the historic Chisholm Trail which was used in the late 19th century to drive cattle overland from ranches in Texas to the Kansas railheads. The run will be entirely on the roads and is not a trail run. Hope to see you there! 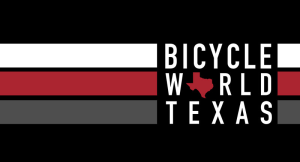 Since the Half and Quarter Marathons are not going to be competitive races, we don't mind if you or members of your family would rather ride the course on your bicycle. Just be courteous to those that are running and share the road. There are campsites and shower facilities available inside Tonkawa Park for those that would like to camp on Friday or Saturday nights. Tonkawa Falls RV Park is owned and operated by the City of Crawford. 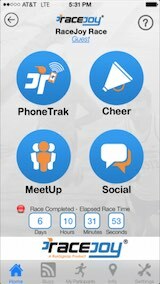 Make sure you download the RaceJoy mobile app for live phone tracking at the Tonkawa Half and Quarter Marathon. The Tonkawa Half and Quarter Marathon is sponsoring RaceJoy to provide participants and spectators these features for free (normally a 99 cents upgrade fee for both the participant and spectator). The Tonkawa Half And Quarter Marathon has course maps available.